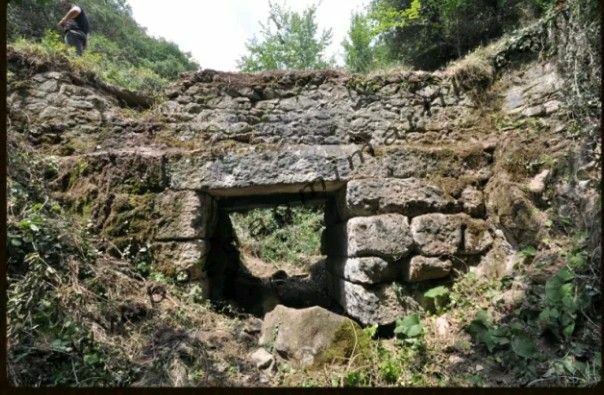 Lord, the people of Nicomedia have spent 3,318,000 sesterces on an aqueduct which was left unfinished and then it was taken down. Then they allotted two hundred thousand sesterces to a second one. Because this one was also abandoned, they need to spend more to have water when they have wasted so much money badly. I have gone to the cleanest spring myself, the one from which it seems likely that water could be conducted by an aqueduct as was tried from the beginning, if we want the water to make it beyond the lower levels of the city. There remain only a few arches standing there still but there are others which could be made from stones which remain from previous attempts. Another part, I think, should be built from brick, which is easier and cheaper. 1In aquae ductum, domine, Nicomedenses impenderunt HS |X̅X̅X̅| C̅C̅C̅X̅V̅I̅I̅I̅, qui imperfectus adhuc omissus, destructus etiam est; rursus in alium ductum erogata sunt C̅C̅. Hoc quoque relicto novo impendio est opus, ut aquam habeant, qui tantam pecuniam male perdiderunt. Ipse perveni ad fontem purissimum, ex quo videtur aqua debere perduci, sicut initio temptatum erat, arcuato opere, ne tantum ad plana civitatis et humilia perveniat. Manent adhuc paucissimi arcus: possunt et erigi quidam lapide quadrato, qui ex superiore opere detractus est; aliqua pars, ut mihi videtur, testaceo opere agenda erit, id enim et facilius et vilius. Sed in primis necessarium est mitti a te vel aquilegem vel architectum, ne rursus eveniat quod accidit. Ego illud unum adfirmo, et utilitatem operis et pulchritudinem saeculo tuo esse dignissimam.